Last Sunday (before our trip to Cabárceno) we visited Rozas, a recently discovered sandstone bouldering area in Burgos. Set within a beautiful forest the shade provided by the trees made climbing possible despite the high temperatures. 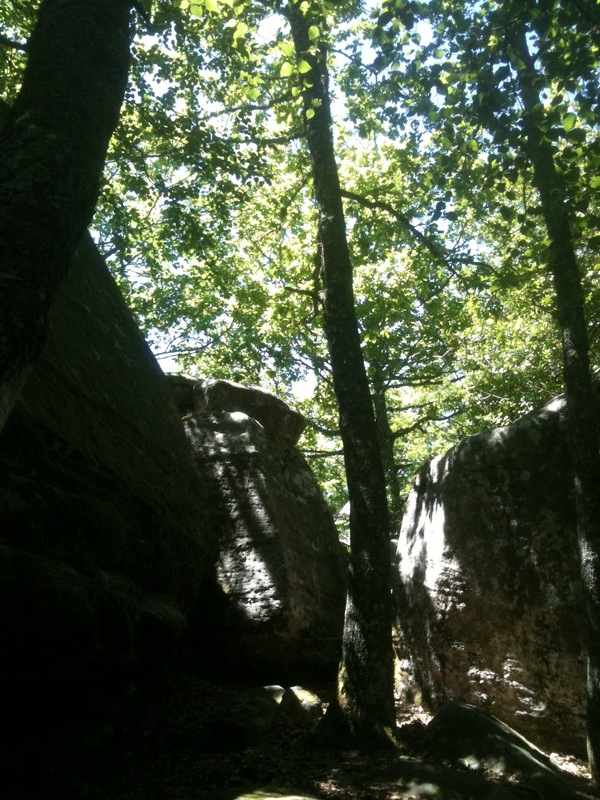 The magical woodland atmosphere was reminiscent of that far more famous forest, Fontainebleau, and the quality and quantity of the boulders only added to this impression. Me on one of the easier problems of the sector. Still took me SEVERAL attempts. The high concentration of boulders and wide range of difficulty meant that despite the vastness of the area as a whole we were all content to spend the day in one relatively small sector. We shall certainly be returning in the future to explore and climb some more. 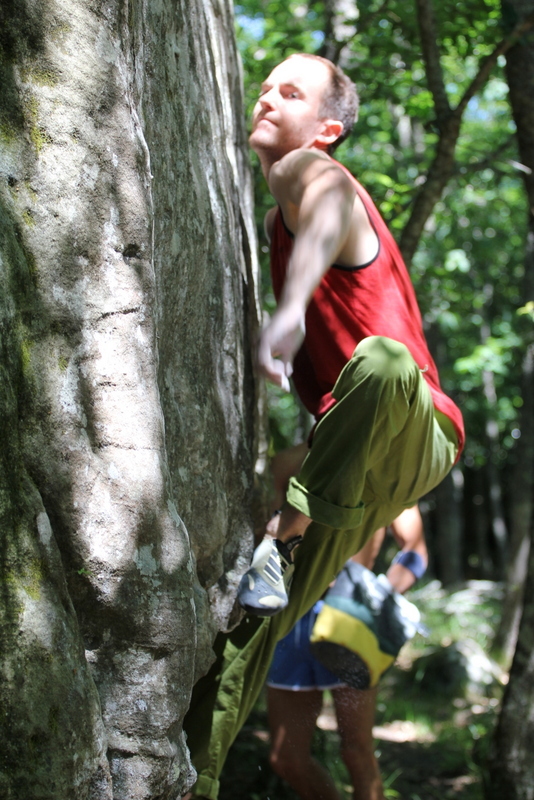 Check out the slideshow below for a sequence of Bittorio climbing. He’s the guy who first discovered both this area and the nearby Santa Gadea. We have a lot to thank him for. Wow! My shoulders are aching just thinking about pulling myself up like this! 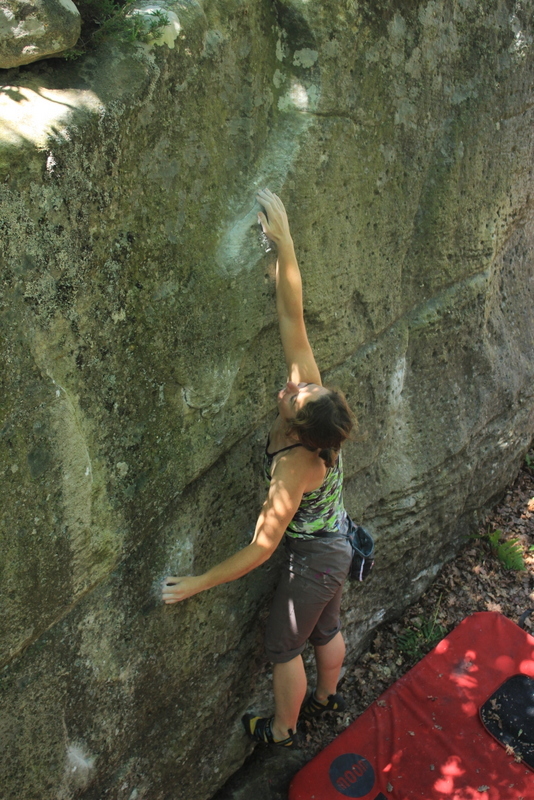 Wonderfully generous sharing you have done here of your bouldering adventure! Great spot, indeed! I know what you mean! Thanks so much for your lovely comment. What wonderful photographs! Looks like a really interesting place! I would probably get stuck somewhere though! Thank you Emma – much appreciated! Hahaha. Your comment has just given me a proper chuckle!